If one of your favorite blocks is a nine-patch, this book will give you 16 ways to make a quilt using that block. The book begins with a one-page introduction followed by a six-page how-to. Tips are set off in a colored box with a top border. A colored photo, a short paragraph and the material and cutting lists start out the pattern. 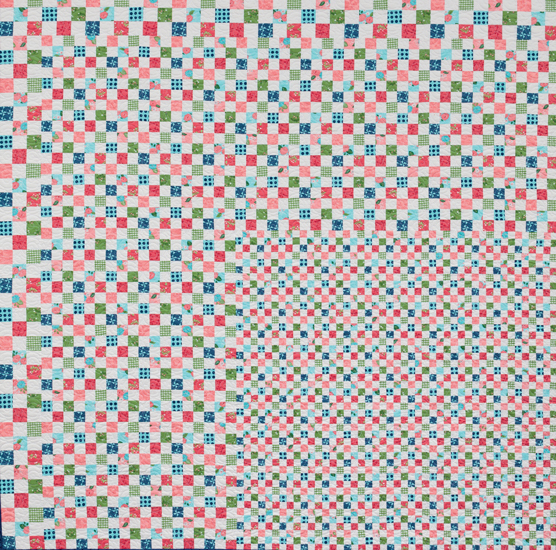 The written instructions include graphics and there is an exploded graphic of the final quilt. 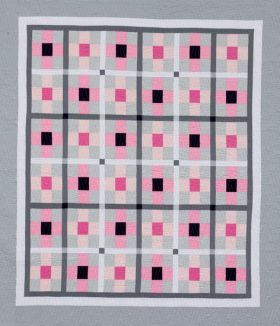 For finishing quilting ideas, the pattern states to go to www.Martingale.com/HowtoQuilt for suggestions. 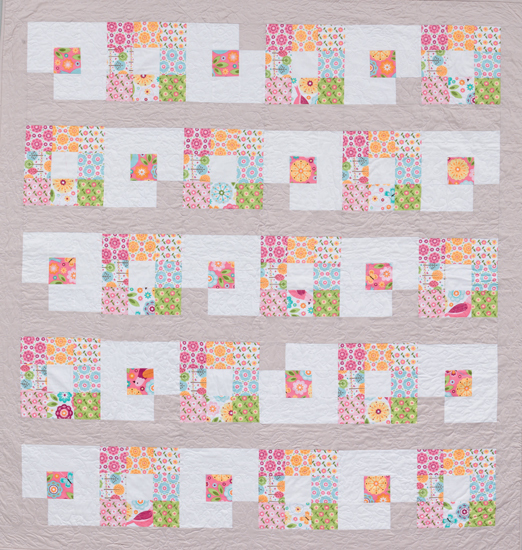 You can always use your own colorways or quilting designs to make each pattern more your own. The final page has short bios of each author. I Love Nine Patches blew my mind away as I learned how versatile a simple block - nine patch - can be. Modern or traditional designs, bright or dark fabrics - regardless of your preference you will find 16 projects in which to use the leftover fabrics you've been collecting to make gorgeous scrappy quilts. The step-by-step instructions are super easy to follow and the diagrams ensure you don't have to wonder how a block should come together. 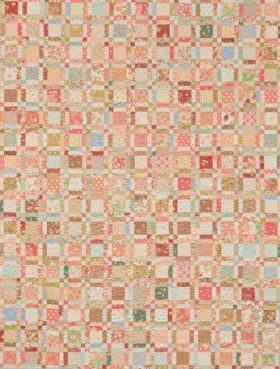 Perfect for beginners, yet intriguing for experienced quilters, this book is a must have in your quilting library. What fun this book is. 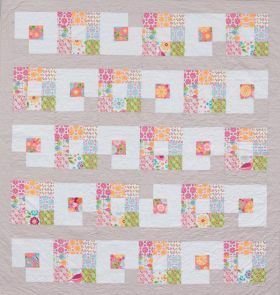 The wonderful ideas for using my favorite quilt block - nine patches. The variety and use of color design has something for everyone. I'm so excited to get started with nine patches . Love this book. I was first drawn to the book by an ad in a brochure for a book club I belong to featuring the quilt from this book called "Take a Bite Out of Life". 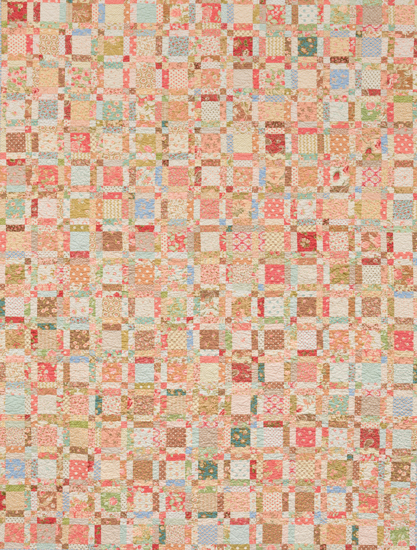 I was thrilled to discover the diverse quilts designed from the simple 9 patch block and even more delighted that they are scrappy quilts. Great way to use my stash. 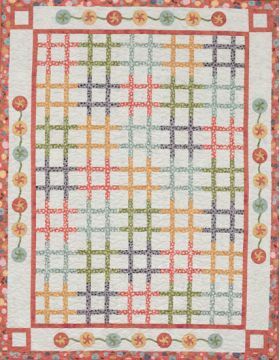 I also love the "Counted Nine Patch" quilt in the book. 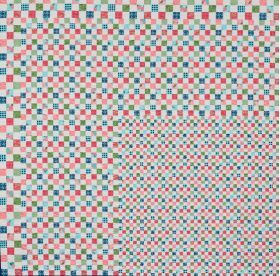 It reminds me of counted cross stitch and has a Scandinavian look to it. 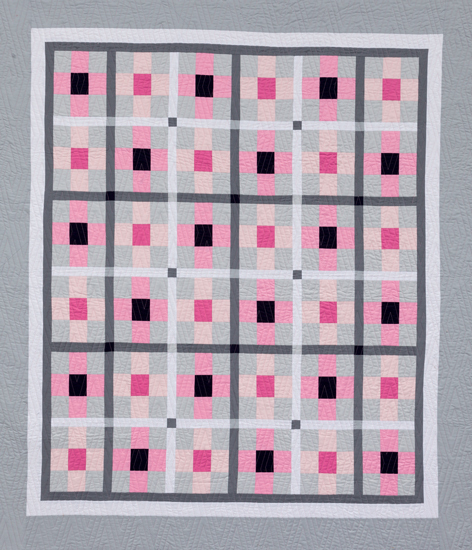 I will definitely be making several of the quilts included in this book. 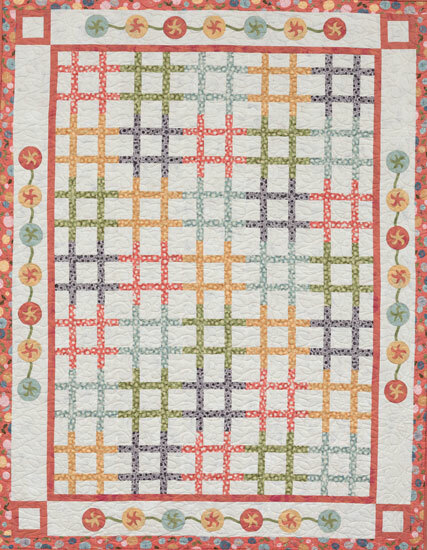 Karen Burns has compiled a collection of sixteen quilts by top designers based on the traditional Nine Patch block. 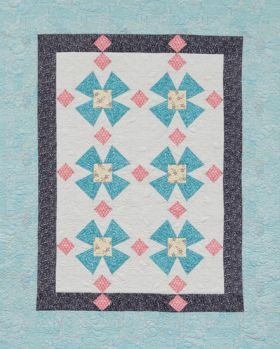 This is a perfect book if you are looking for designs that illustrate how a basic block can be used in alternative ways to create quilts that are very different. 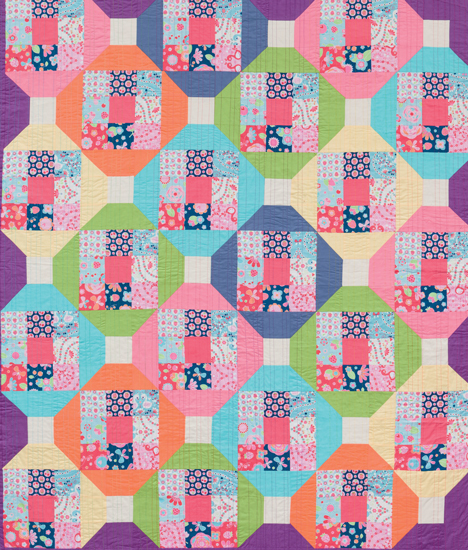 Each of the chapters show how changes in block size, colour, composition and quilting can be used to vary a design. 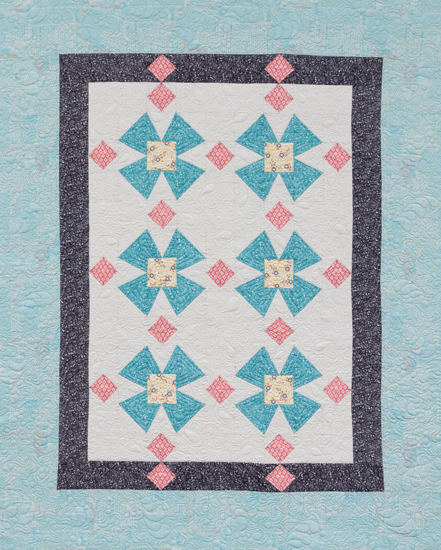 There are also good examples of how sashing, borders, changes of scale and block orientation can enhance a quilt design plus how to include additional elements such as applique. 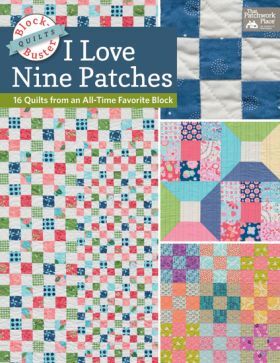 If you are keen on Nine Patch blocks, I am sure you will find patterns in the book you would like to make as the projects vary from colourful modern designs to more traditional quilts. Who thought the plain ol' nine-patch could be so much fun?! 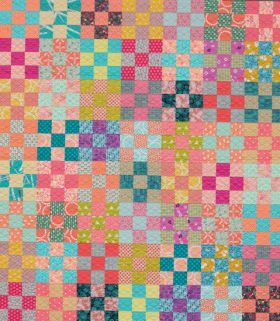 The 16 patterns in this book, including projects from Canadian designers Jackie White and Barb Cherniwchan, are fresh and fun takes on the classic block we love.